The PSF’s Discussion Paper Youth and Everyday Peace in Myanmar: Fostering the Untapped Potential of Myanmar’s Youth, is an acknowledgement of the diverse contributions of young people to Myanmar’s transition. This Paper presents a range of strategies and practical suggestions for stakeholders to consider with a view to spark substantive discussion on how to harness a generation of tech-savvy and innovative leaders. The Paper also celebrates the second anniversary of UN Security Council Resolution 2250, the first resolution putting young people at the centre of conflict resolution efforts globally. Myanmar’s youth will not only inherit decisions and actions made today, they are actively shaping the foundations of sustainable peace in the country both within and between communities. The PSF is committed to YPS, having supported a diversity of youth-led initiatives seeking to build social cohesion across the country. The Paper reflects on youth inclusion since 2011 in peacebuilding, analysing opportunities and barriers to engaging young men and women in Myanmar’s transition. While not an exhaustive assessment of youth inclusion, the Paper provides a starting point for discussions on how to deepen youth inclusion in Myanmar. In January 2016, the PSF released a report on Women, Peace and Security in Myanmar, The Women are ready: an opportunity to transform peace in Myanmar, in acknowledgement of the 15th anniversary of UN Security Council Resolution 1325- the landmark resolution on Women, Peace and Security. The PSF is committed to supporting WPS. Approximately 20% of all funds are committed to projects that directly support WPS in Myanmar. This discussion paper is not a definitive statement. It offers a first step in a difficult conversation and asks the following questions: how and where can women stake more claims to political space in Myanmar? 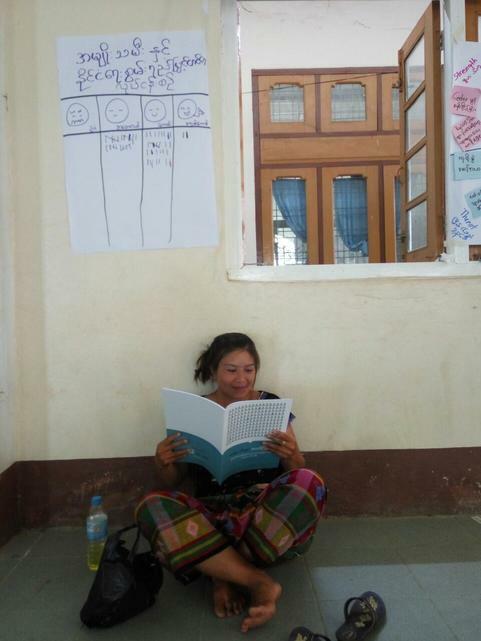 What underlying factors need to be addressed to transform the status of women in Myanmar? 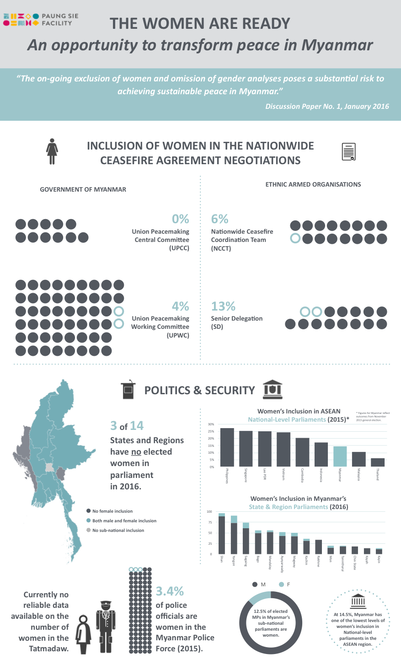 Section 3 of this report provides a host of strategies and practices- all based on best practice and global evidence - that a host of stakeholders can undertake in Myanmar related to Women, Peace and Security. 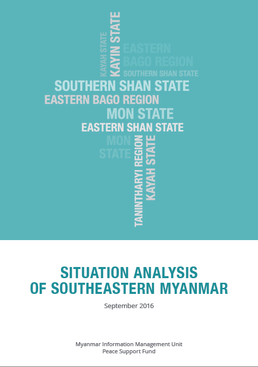 The Situation Analysis of southeastern Myanmar has been prepared by the PSF and the Myanmar Information Management Unit (MIMU) as a resource to support programming, strategy and policy across the peace, humanitarian and development sectors. For this Analysis, southeastern Myanmar includes: Mon State, Kayin State, Kayah State, eastern and southern Shan State, Tanintharyi Region and eastern Bago Region. This Situation Analysis is not a needs assessment or gap analysis. It is a snapshot in time in a rapidly changing context. It is a step towards identifying key trends and bringing together a growing body of knowledge and data on southeastern Myanmar across the development, humanitarian and peace sectors. Each section of this report provides an overview of key issues and seeks to understand the current situation in a heterogenous area of Myanmar.